Track 1 recorded by Chris Lyons/Alejandro Goldstein (2014), Rolston Recital Hall, Banff Centre AB. Edited and mixed by Amandine Pras (2017). Track 2 recorded, edited and mixed by Paul Talbott (2012), Glenn Gould Studio, Toronto ON. Tracks 3 and 4 recorded and edited by Mathilde Genas/Ben Erikson (2016), Rolston Recital Hall, Banff Centre AB. Mastered by Amandine Pras (2017). Produced and designed by Katelyn Clark and Luciane Cardassi. In combining these two keyboard instruments, I felt I was interlacing two distinctly different colors into a single fabric; the two separate and very beautiful sound worlds wrap around each other, woven but never completely blended. Brocade, a thick, interwoven silk fabric, came to mind as I was working, as it seemed to reflect both the weightiness of the instruments and the delicacy of their colours. I am indebted to Katelyn Clark and Luciane Cardassi for their beautiful interpretation, and to the Canada Council for the Arts for supporting the commission. – Linda Catlin Smith. rockeys duo takes its name from the majestic Rocky Mountains of Canada. 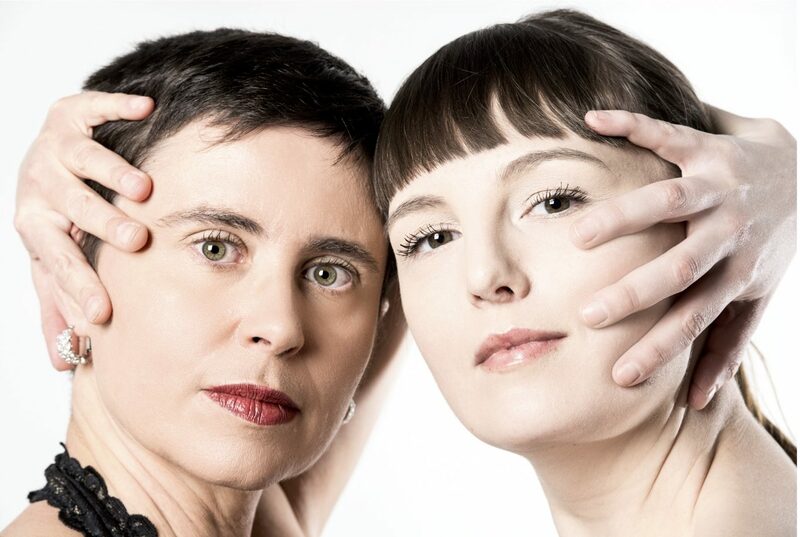 This project is a unique collaboration between harpsichordist Katelyn Clark (Montréal) and pianist Luciane Cardassi (Banff) that explores the unexpected combination of piano, harpsichord and electronics. The duo uncovers and develops the endless possibilities of their keyboard instruments through performance, improvisation, and commissioning new works. 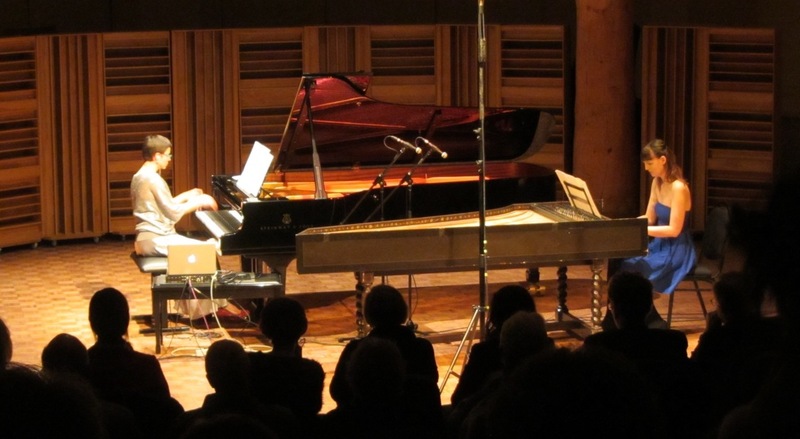 After meeting and collaborating at the Banff Centre during several artist residencies, the duo began their current project of commissioning a series of new works for harpsichord, piano and electronics by Canadian composers, which includes Brocade by Linda Catlin Smith, funded through the Canada Council for the Arts.